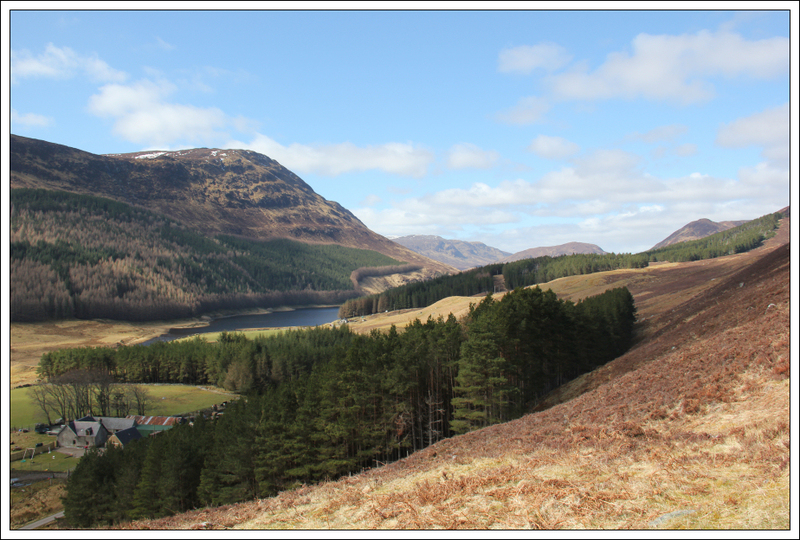 I spent yesterday morning in Inverness killing time while my car was serviced. 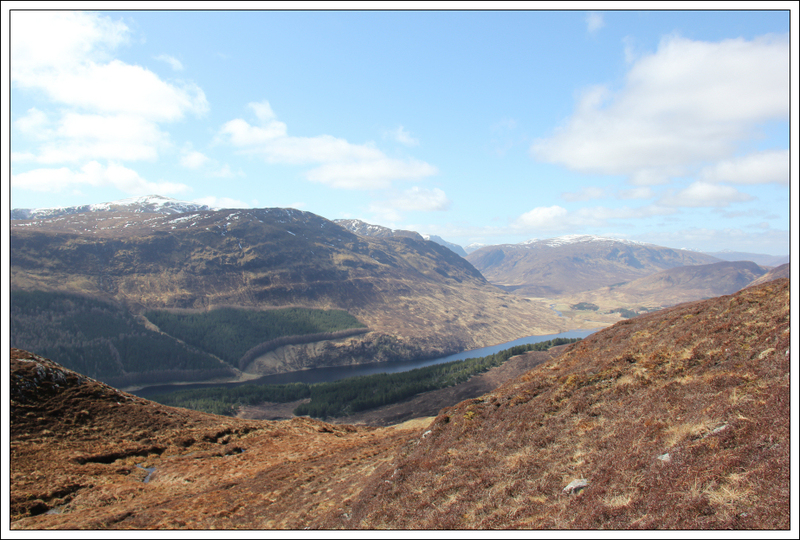 After being robbed of an extortionate sum of money by the dealer, for not much more than an oil change and a car wash, I made my way to Strathconon to ascend Meall na Faochaig. 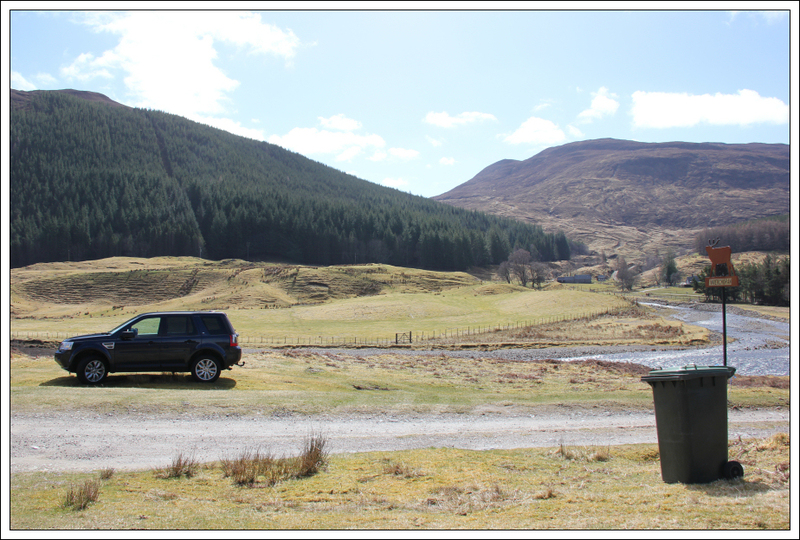 I parked at Inverchoran in the same place that I parked less than four weeks previous to ascend Beinn Mheadhoin. Much less snow on this visit . 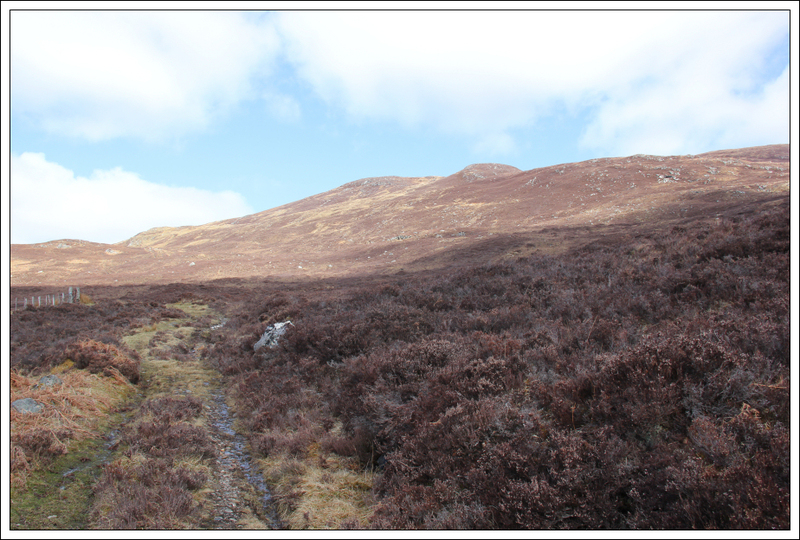 After walking a short distance along the road towards Loch Beannacharain, I followed the track leading diagonally up Creag Lucharaidh. 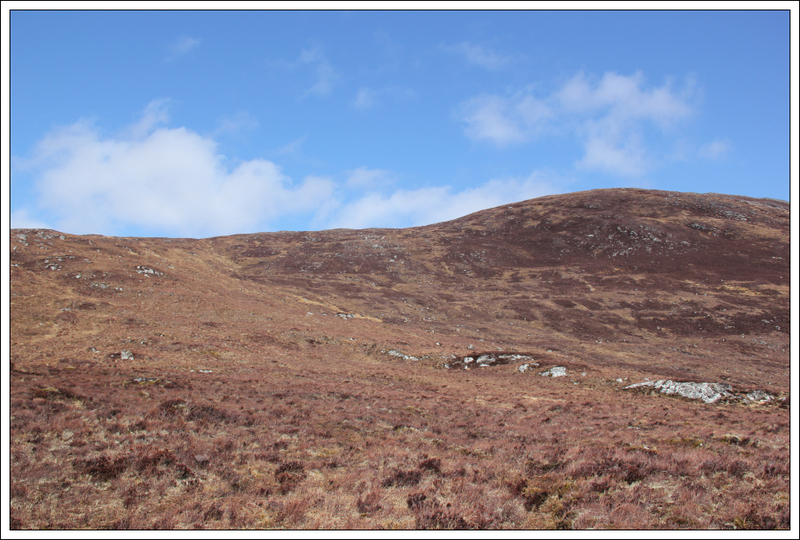 During the initial ascent, I saw a number of stags and hinds. Once beyond the track, the going was really wet underfoot. I found this a bit surprising given the lack of rain in recent weeks. 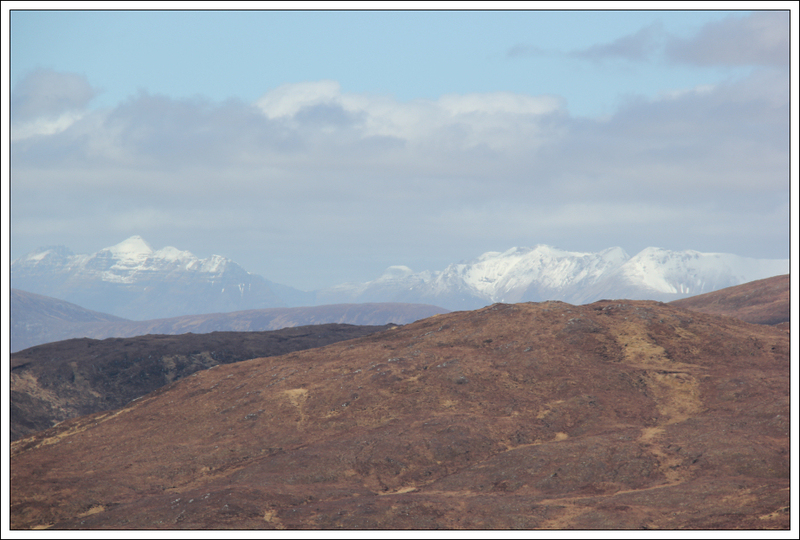 During the ascent I stopped to take some photos of the distant Torridon hills which were still capped with snow. 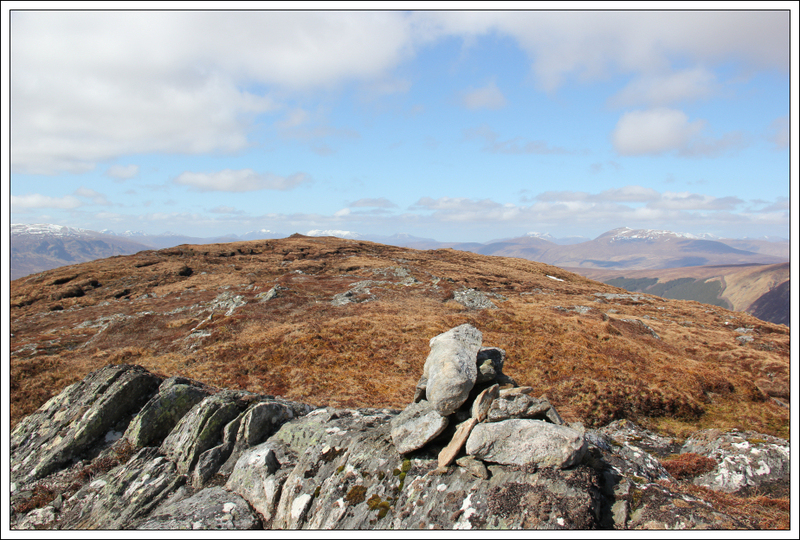 On reaching the summit I could see another cairn that looked about the same height a short distance away. 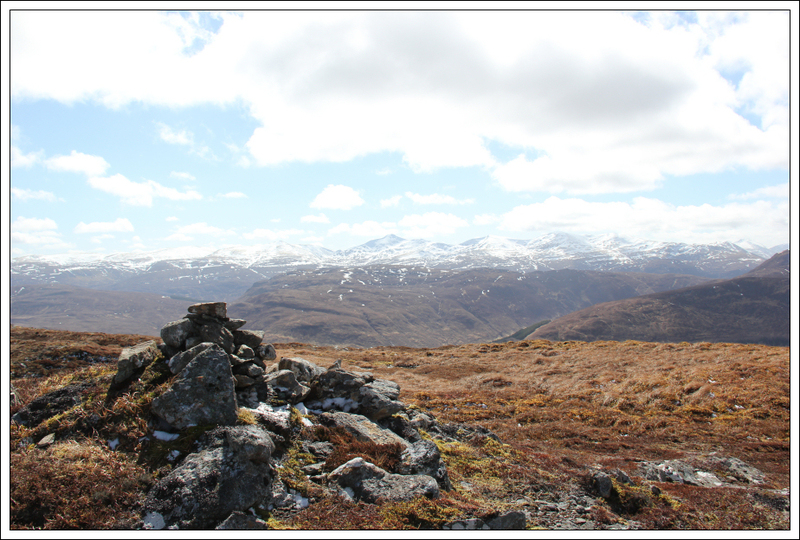 I therefore also visited this other cairn just in case it was higher. 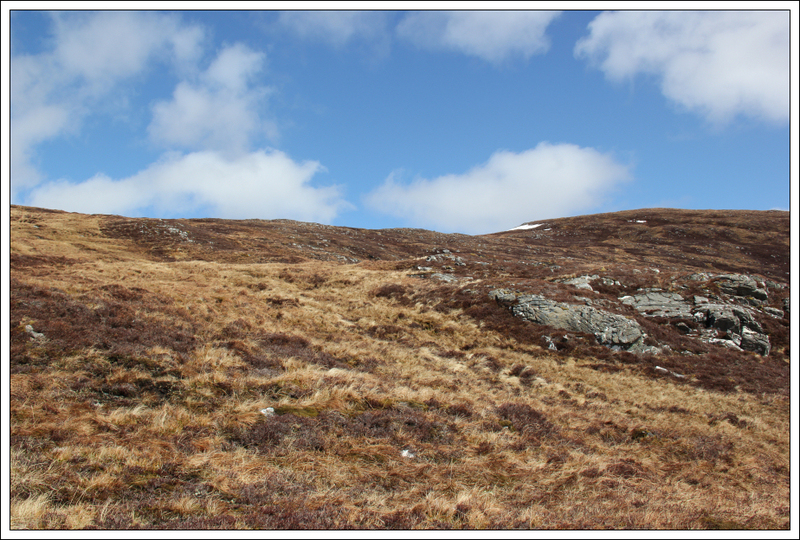 The ground between the two cairns was unpleasantly wet. 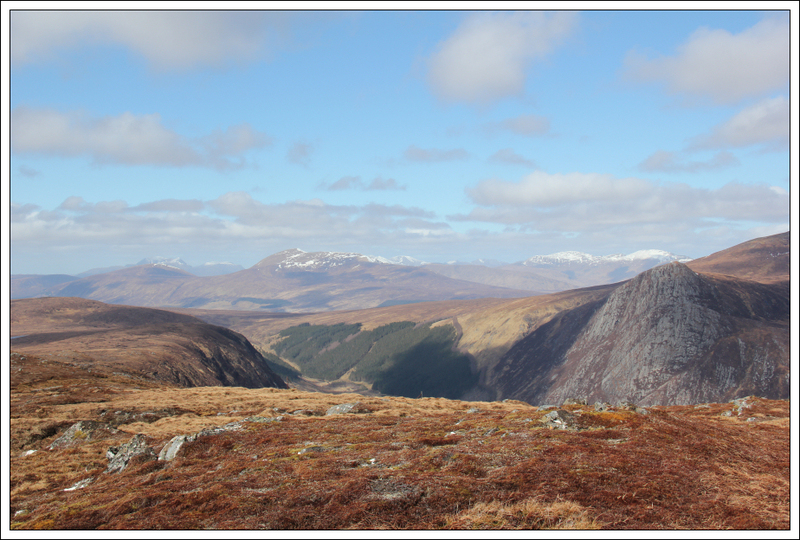 From the second cairn I returned to the first cairn and then descended via roughly the same route.